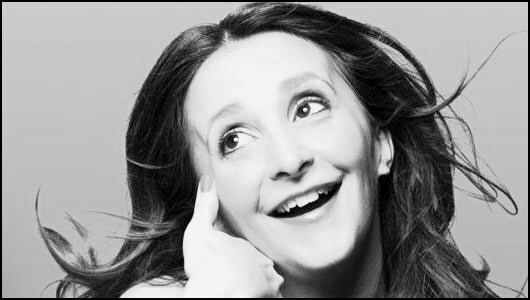 Review: Lucy Porter: People Person – The Stand (1), Edinburgh. Those who have braved the tempestuous Edinburgh weather are invited to welcome the “beautiful and talented” Lucy Porter to the stage. The petite performer enters the room, somewhat needlessly revealing that she does her own intros. People Person is Lucy’s first Fringe show since 2009, two pregnancies in quick succession forcing a necessary hiatus. The experience of raising two young children unsurprisingly becomes the focus of the show. Trapped in the house with little adult company, Porter is saddened by the natural decline of friendship that occurs as new parents settle into family life. Being a sociable being, however, Lucy has found a new companion in a cafe. The show becomes an exploration of the difficulties of establishing fledging friendships while touching on themes of loneliness and obsession. Porter is a bubbly and chatty performer, effortlessly engaging the audience in her slightly kooky world. Her sweetness and charm keeps the show moving, employing an occasional bite to catch the audience off guard. A selection of unwittingly revealing Argos customer reviews goes down a treat, while day time television presenters are delicately savaged for the bullying tactics used on their shows. An analogy between a certain part of a woman’s anatomy and a pub raises the loudest laugh, with the comedian using her wide eyed innocence to hilarious effect. Unfortunately, much of the material struggles to rise above being gently amusing. Riffs on pregnancy and sexual politics are well presented, yet lacking the edge to take them to the next level. In addition, stronger punch lines are often swallowed up by Porter’s incessant chatter, delivered too quickly to have the impact they potentially could have. For long stretches the experience is much like having a pleasant one sided conversation; enjoyable, but not especially funny. Eventually returning to the cafe set up that frames People Person, Porter ties in the themes explored in the earlier parts of the show. Unlike the many Fringe shows that employ a loose opening device before unleashing reams of unrelated material, Porter maintains the focus of her act admirably. Though the big reveal perhaps stretches the bounds of credibility, it is certainly an affecting and thoughtful finish to the performance. People Person is a witty, well constructed examination of the strain of new motherhood and the collapse of friendship. Porter is an experienced, likeable performer, her ebullient personality carrying the show well. The audience, however, is left only passably amused, lamenting the lack of real belly laughs on offer.